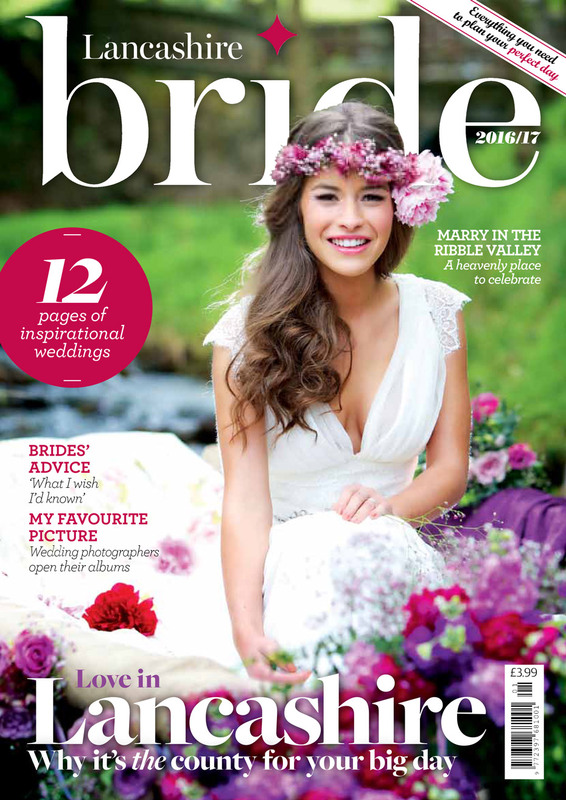 Once again I’m delighted to have one of our fabulous couples publised in Lancashire Bride Magazine. 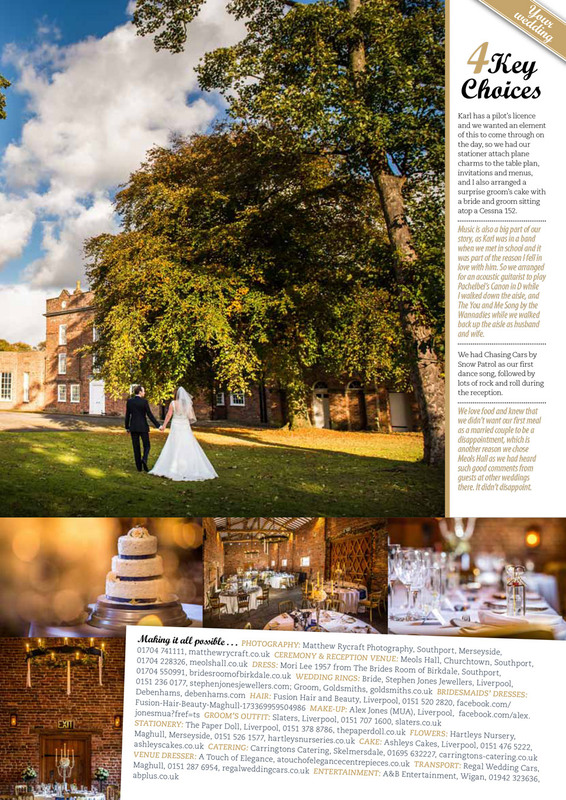 Meols Hall was the chosen Southport Wedding venue and Jennifer and Karl were delighted once asked to be the face for Meols Hall for in this half year long wedding magazine. 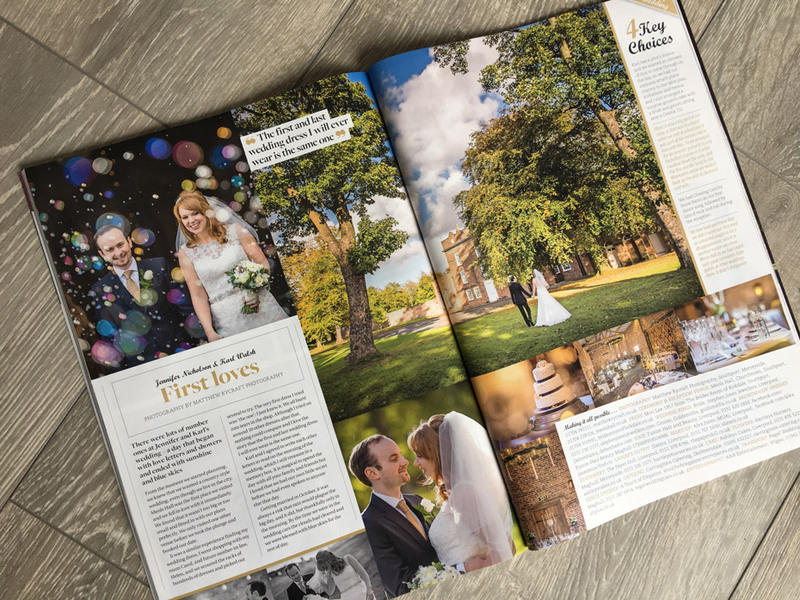 Meols Hall, Myself and Lancashire Bride Wedding Magazine worked together on this one to make sure both the couple and venue told the perfect love story. From the moment we started planning, we knew that we wanted a country-style wedding, even though we live in the city. Meols Hall was the first place we visited and we fell in love with it immediately. We found that it wasn’t too big or too small and fitted in with our plans perfectly. We only visited one other venue before we took the plunge and booked our date. It was a similar experience finding my wedding dress. I went shopping with my mum Carol, and future mother-in-law, Helen, and we scoured the racks of hundreds of dresses and picked out several to try. The very first dress I tried was ‘the one’; I just knew it. We all burst into tears in the shop. Although I tried on around 10 other dresses after that, nothing could compare and I love the story that the first and last wedding dress I will ever wear is the same one. Karl and I agreed to write each other letters to read on the morning of the wedding, which I still treasure in a memory box. It is magical to spend the day with all your family and friends but I loved that we had our own little secret before we had even spoken to anyone else that day. Karl has a pilot’s licence and we wanted an element of this to come through on the day, so we had our stationer attach plane charms to the table plan, invitations and menus, and I also arranged a surprise groom’s cake with a bride and groom sitting atop a cessna 152. Music is also a big part of our story, as Karl was in a band when we met in school and it was part of the reason I fell in love with him. So we arranged for an acoustic guitarist to play Pachelbel’s Canon in D while I walked down the aisle, and The You and Me Song by the Wannadies while we walked back up the aisle as husband and wife. We had chasing cars by Snow Patrol as our first dance song, followed by lots of rock and roll during the reception. 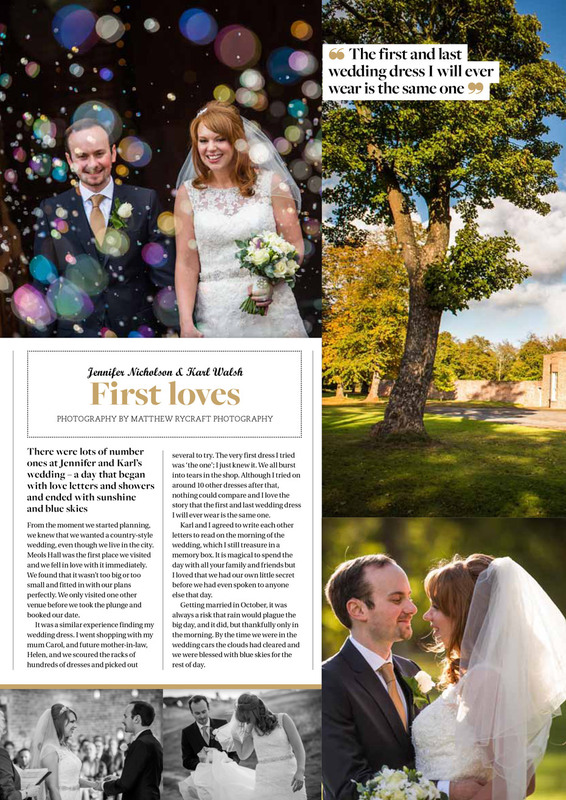 We love food and knew that we didn’t want our first meal as a married couple to be a disappointment, which is another reason we chose Meols Hall as we had heard such good comments from guests at other weddings there. It didn’t disappoint.